The implant-supported dentures treatment process is tailored to the restorative needs of the individual patient. Some will need to undergo dental therapy and healing before the implants can be placed, extending the amount of time before the final dentures prosthetic can be placed. Bone grafting supplements available bone tissue to restore your candidacy for dental implants. 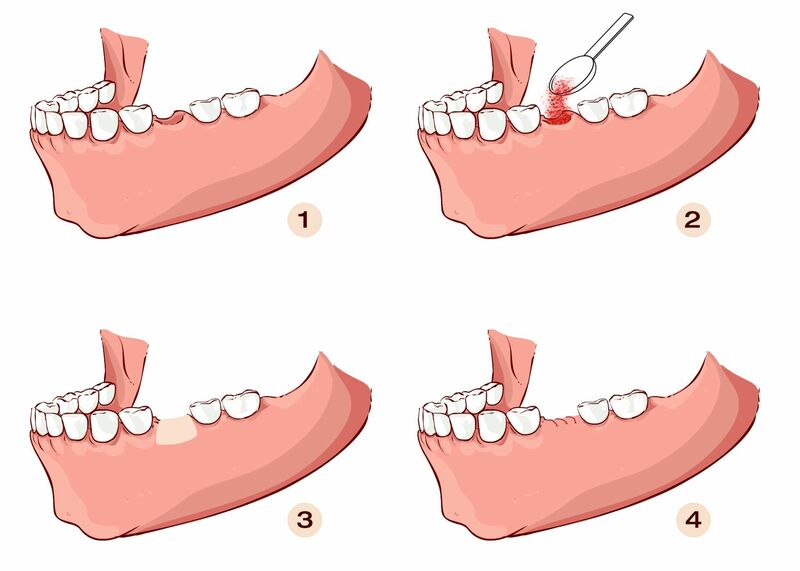 The following are some common treatments that are performed before the placement of dental implants. Tooth extraction and restoration: If tooth decay or gum disease is so severe that a tooth can't be saved, it will need to be extracted. Your dentist will examine the remaining teeth in your mouth and determine if they should be removed or restored with tooth-colored fillings, inlays, onlays, or dental crowns. After the teeth have been extracted, the gums need at least two to three months to heal before an implant can be placed or an impression taken. Gum grafts: To ensure the security and longevity of dental implants, there must be adequate gum tissue above and around them. If patients have lost healthy gum tissue due to gum disease or tooth loss, a gum graft may be required before implant placement. The gums require a healing period of at least a month or two after gum grafting surgery. Bone grafts: If the jawbone is not thick or solid enough, bone-grafting surgery is performed to support the implant and help withstand the forces caused by biting and chewing. The healing period from a bone graft can take a month or two.